Miss H has always loved anything creative. From the age of one she would sort all her toys by colour and size and as soon as she could hold a pencil she was in her element. Not a day goes by now that she doesn't ask to make something and I have amassed quite a craft selection for these moments, including the occasional toilet roll! 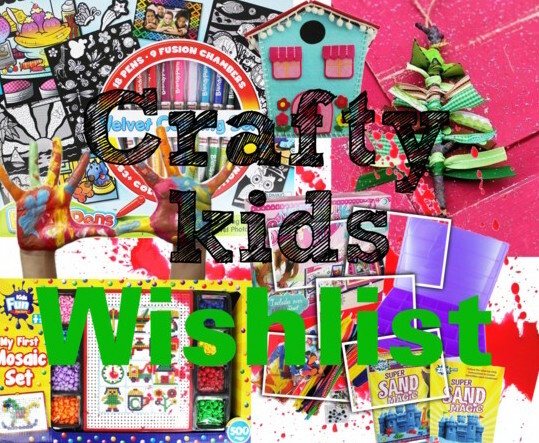 So together with discount store, The Works, I've put together a few ideas for the little crafters in your family and soon pieces for them from Santa. 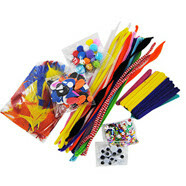 Start off your craft purchases with a bumper pack of crafty goodies - this set includes foam shapes, pom poms, sequins, feathers, eyes, lolly sticks and pipecleaners. My little lady loves creating all sorts of things and often plays with PlayDoh for hours at a time. 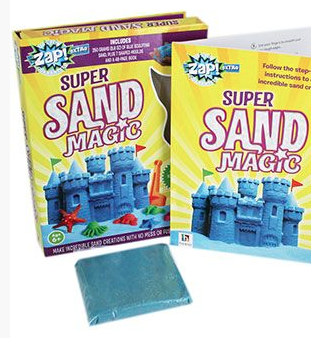 For something a little different this kit includes moulds and sculpting sand to create all sorts of sand sculptures, which is sure to keep them entertained. 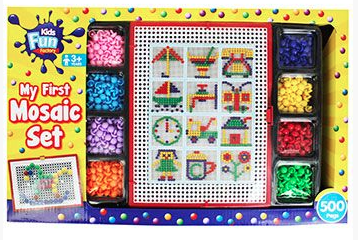 I've been looking to get Miss H a few different crafty set this Christmas, and this looks like a great one, with no mess! Rather than sticking tiles down, these are more like pegs that are inserted into a tray to create whatever pattern your child wants. The great thing is that they can be removed and they can start all over again. 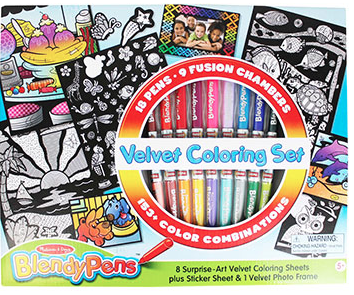 When I was little my mum used to buy me one of these every Saturday when we visited my Nan and I would be occupied for ages, colouring in the intricate pictures surround by velvet. I've been looking to get H some for ages so I'm so pleased to find this set at The Works. This includes 18 pens and 9 pictures. 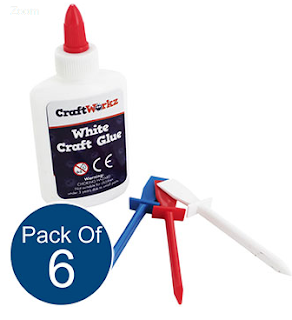 We use tons of glue and are always running out, so this has to be on our list as a little stocking filler. With this purchase your get six bottles of glue and 18 spreaders for only £4.99 - plenty to keep your little going for a while! 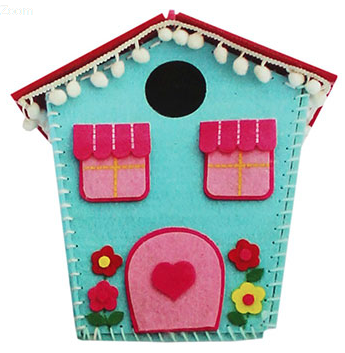 I love this make your own felt birdhouse kit, which teaches your child the basics of sewing. I'm sure this would keep Miss H occupied for ages and the end result looks great too. Once you've bought all those crafty bits you'll need somewhere to store them. 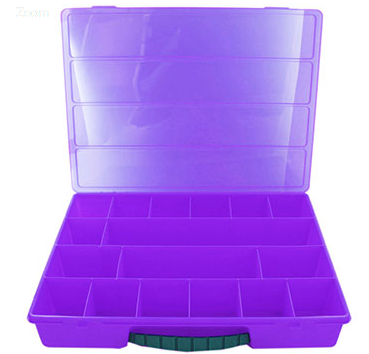 This storage case is only £5 and has little compartments for all those bits and pieces, making sure you don't lose them. So there are my picks from discount store The Works. There are so many fantastic products for amazing prices on offer, so do have a look at their website for even more ideas on Christmas gifts for your loved ones.